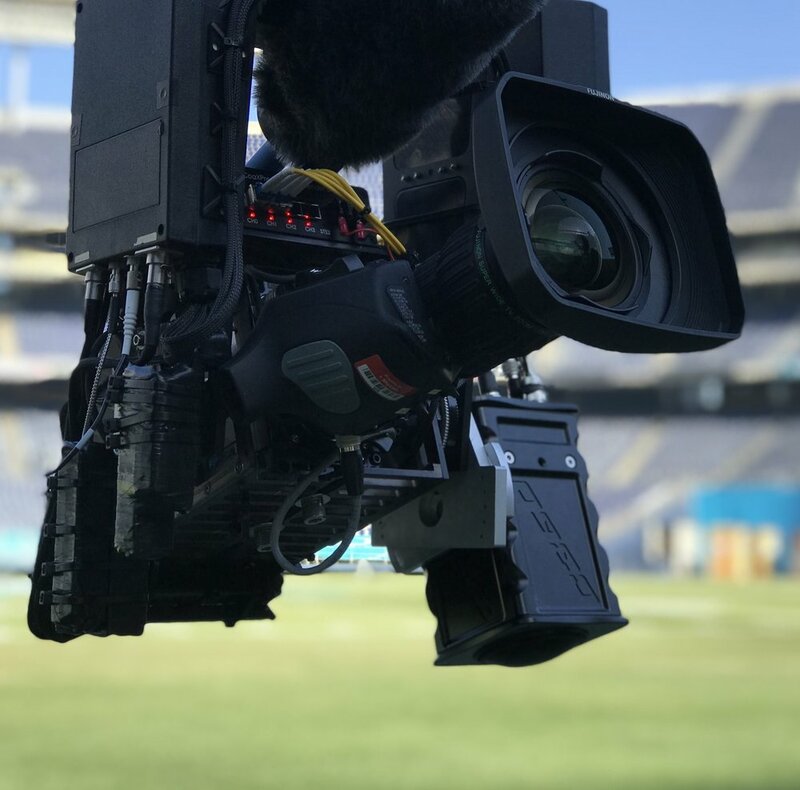 C360 camera and workstation connects directly into broadcaster's backhaul with multiple live HD-SDI outputs and EVS BEPlay systems for real-time panoramic video replays, and simultaneously streams to the OTT platform for VR and second screen applications. At 10.92 kg, the C360 workstation is a GPU workhorse. Providing up to 4 independent HD-SDI outputs at 1080 or 4K to the broadcast backhaul. Operator joystick supplies independent PTZ control over each HD-SDI output. Replay functionality from the C360 workstation direct to EVS with an additional 4 outputs including independent PTZ for each linear replay. The C360 workstation streams JPEG, H.264, and HEVC up to full resolution. Workstation control via C360’s proprietary GUI and standard industry color handles for on-site or off-site operator capabilities. Realtime H.264 and HEVC (up to full resolution) streaming available in multiple projections (equirectangular, oval, and cube). Immersive transcoding delivery for all VR headset/platforms, social networks and mobile apps for iOS, Android, and PC is scalable via all devices, platforms, and users at the same time. On average, C360 OTT engagements produce a 69- minute dwell time, a 34x increase over typical second screen experiences. With direct fiber connect to EVS, C360 provides operators a tool unlike any other pan and scan technology. C360 transfers it’s full resolution output to EVS for 360 motion replay including time and spatial motion replay, unique live perspectives via independent operator PTZ, and simultaneous multiple virtual camera angles. Learn how C360’s award winning technology is changing live sports with higher levels of engagement and dwell times. Reach us at info@c360live.com or speak with a company representative today at 724-940-3277.